Pointing out the practical problems of implementing the Nyuntam Aay Yojna (NYAY), former Vice Chairman of NITI Aayog Arvind Panagariya said that no one has given details of the scheme about how Rs 3.6 lakh crore will be arranged to execute it, a media report said. According to ANI, Panagariya said, "If you are giving Rs 72,000 per annum to 5 crore families then there will be an expense of Rs 3.6 lakh crore, this is 13 percent of the total Budget of the Central government." He said that no one has given details of NYAY scheme that how Rs 3.6 lakh crore would be arranged to implement it. "It's more than our defence budget. 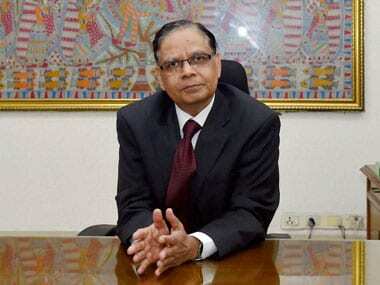 Fiscal situation is always tight, it's almost impossible to take out 13 percent of the Budget," said Panagariya. 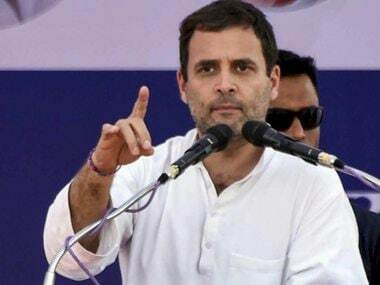 On 26 March, Congress president Rahul Gandhi said that its minimum income guarantee scheme assures up to Rs 72,000 a year or Rs 6,000 a month income to 20 percent of India's poorest families if the party is voted back to power in the Lok Sabha elections. Last month, Panagariya had said the implementation of the NYAY scheme not only poses a "fiscal challenge" to India's economy but also has a "serious incentive problem". 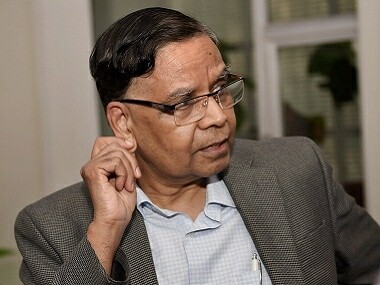 Panagariya, who served as the first vice chairman of NITI Aayog for two years from 2015 to 2017, told PTI that NYAY is difficult to implement and unlikely to achieve its intended objective. "It raises three major questions — the incentive compatibility issue, the fairness issue and fiscal challenge," Panagariya, an eminent Indian-American economist, said. But Gandhi said the NYAY scheme has the twin objectives of giving money to the 20 percent poorest families and remonetising the economy damaged by the demonetisation in 2016. Its aim is two-fold. First is to guarantee a minimum income to the bottom 20 percent families. The second is to remonetise the economy that has been demonetised by Prime Minister Narendra Modi, Gandhi told PTI. Senior Congress leader and former finance minister P Chidambaram said 'enough' economists and experts had been consulted and they broadly agreed that India has the capacity to implement the scheme. Former Reserve Bank of India (RBI) governor Raghuram Rajan has said the implementation of the scheme is possible, Chidambaram said. "Our calculation shows that it will not cross 2 percent of the GDP, it will be 1.8 percent of the GDP at any given point of time," he said. Commenting on the scheme, Panagariya said the transfer is meant to be Rs 6,000 per month per family to 50 million families and at the same time, it also guarantees an income of Rs 12,000 per month to these families. "What happens if one family has an income of only Rs 4,000 and another Rs 8,000 per month? Will the former then receive Rs 8,000 and the latter Rs 4,000 per month? If so, why should anyone with income below 12,000 do any work at all since their incomes will be Rs 12,000 regardless of what they earn?" he asked. Interpreted this way, "there is a serious incentive problem with the scheme", Panagariya asserted. "If the scheme is meant to transfer flat Rs 6,000 per month to identified families regardless of the family's earned income, you cannot deliver Rs 12,000 per month to families earning less than Rs 6,000," he asserted. The programme, as announced by the Congress, guarantees Rs 12,000 per month in income to the poor, which is Rs 144,000 per year, he said, explaining the fairness issue. Add to it all other in-kind transfers: subsidised food, NREGA wages, free house, free toilet, free education and Rs 500,000 free health insurance coverage. The gross sum will be close to Rs 200,000 per year, Panagariya observed. "Now think of someone not covered by the scheme and earning Rs 3,00,000 per year. This family will have to pay Rs 2,500 in taxes (currently covered by a tax credit but in principle taxable). How fair is this to those working? "Moreover, taxpayers are all in urban areas and dole recipients all in rural areas. Will this not open a serious rural-urban schism? No one questions helping the destitute on the margin but when help is given to give all comforts of life free, those paying for those comforts will become intensely unhappy," he said. Then there is the question of fiscal challenge, he said. If Rs 12,000 per month per household is to be guaranteed to bottom 20 percent of the population, even the average Rs 6,000 per family will be insufficient, he argued. "But let us set that problem aside. Can we scrape Rs 3.6 lakh crore per year (calculated at Rs 6,000 per family for 50 million households)? There is no chance. 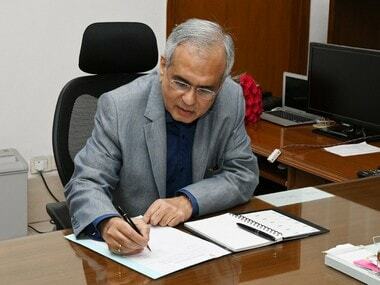 "It is 13 percent of the proposed total Central government expenditure in Budget 2019-20," Panagariya said. Anit Mukherjee, a policy fellow at the Center for Global Development where he works on issues of governance, public finance and service delivery in developing countries, said how to identify the target beneficiaries and how to absorb the fiscal impact are two major problems. The amount is substantial, more than the current government has proposed (Rs 6,000 per year), and to a general definition of the poorest of the poor (and not just farmers), he said. "However, it is about half of what a similar scheme in Kenya through a US-based charity GiveDirectly provides over 20,000 adults purely on a universal basic income criteria," Mukherjee said, adding the results of the scheme are still awaited, so there is no firm global evidence on whether Universal Basic Income works or not at the scale which the programme in India would operate on. According to Mukherjee, to address the problem of fiscal impact, there has to be "cutbacks" in other subsidies, principally food, fuel, electricity and fertiliser. "Some transfers to the poorest of the poor, such as MGNREGA (Mahatma Gandhi National Rural Employment Guarantee Act) and social pensions, would probably have to be absorbed into NYAY," Mukherjee told PTI. Schemes such as Public Distribution System (PDS) and MGNREGA are constitutionally mandated and it would be hard to remove them altogether, he said. The Centre, which has struggled to contain the fiscal deficit, will have to foot the entire bill so the fiscal concern is justified, Mukherjee said.